The military parade of the Greek armed forces took place with great splendour in Athens in celebration of the nation’s Independence Day of March 25. 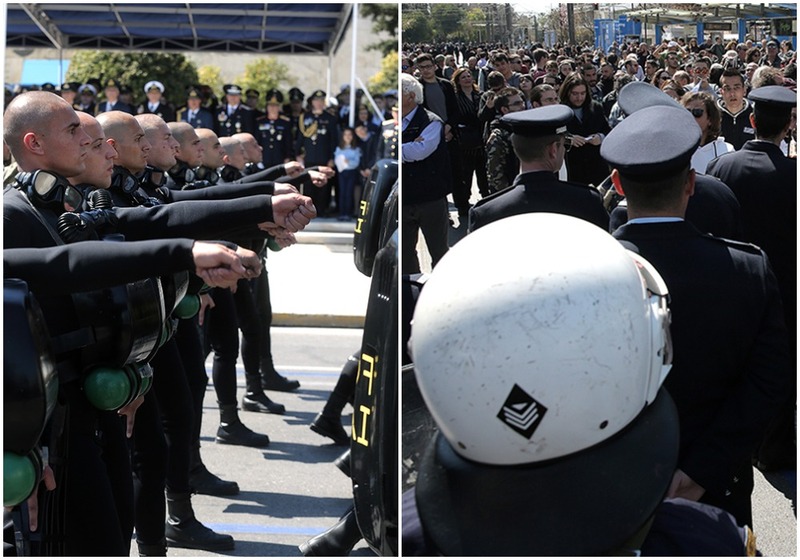 A noteworthy moment was when the unit of the Presidential Guards (Evzones) paraded before the podium with the dignitaries and politicians under as the military band was playing the song “Macedonia Famous”, an anthem that has caused great contention among political parties as the government has strived to fade it out following the Prespa Agreement. The Hellenic AirForce also contributed to the day’s celebratory atmosphere with fighter jets roaring through the blue skies of Attica, while motorised units of the army went down the main street in front of Syntagma Square.